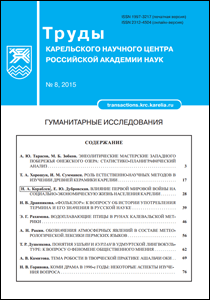 Transactions of Karelian Research Centre of Russian Academy of Science. No 8. Research in the humanities series. 2015. 144 p.